This is an ongoing working group formed by members of the RR PDX Intersangha and all those called to join us! 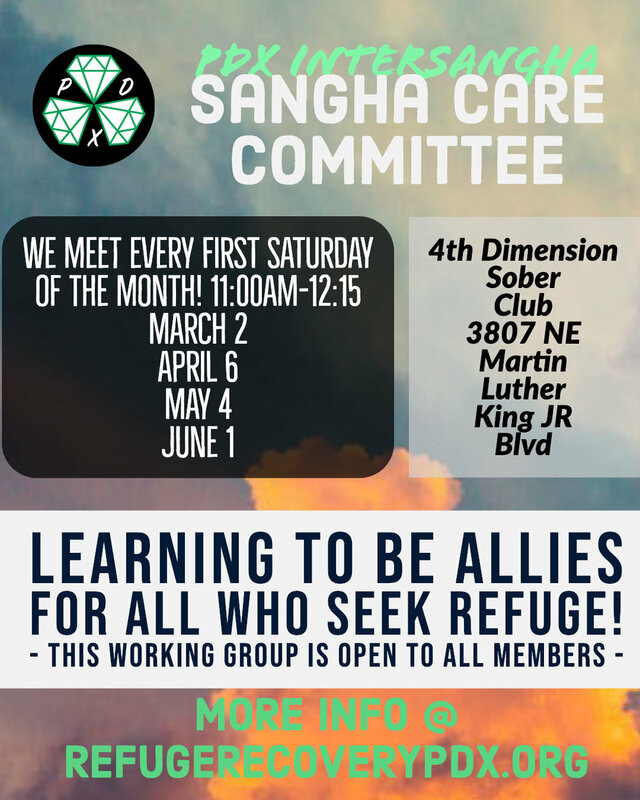 The purpose of these meetings is to continue to develop our shared language, sangha culture, understanding and awareness of sexual misconduct so that we can intentionally create the community that we want within our Refuge Recovery Sangha! All meeting secretaries and those holding officer positions are super encouraged to come! *PLEASE* Share this event/info in your meetings! RRPDX Hiking Club - 1st Hike! Sign up with your email address to receive updates on new meetings, fellowship opportunities, and upcoming events! We respect your anonymity. We will not share your information with any third parties.